Arquitectura Orgánica built this amazing house in 2006 for a young couple who wanted something different from the conventional homes. 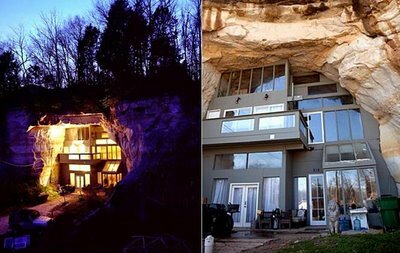 It's a 17,000 square foot gouge in the earth that dates back to a 1930s sandstone mine in Festus, Missouri'. 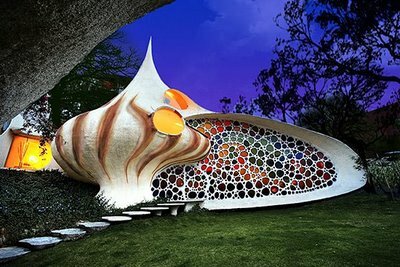 The Klein bottle house was designed by McBride Charles Ryan, and the unusual home design takes its inspiration from the 19th century invention - Klein bottle: it is a certain non-orientable surface, i.e., a surface (a two-dimensional manifold) with no distinct "inner" and "outer" sides. 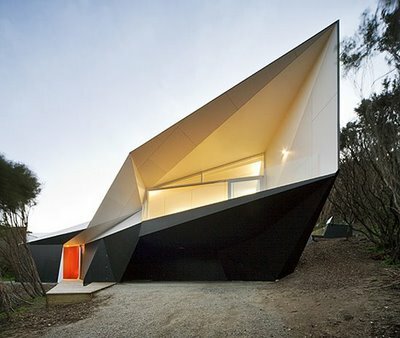 The house recently won the Harold Desbrowe-Annear award in architecture. 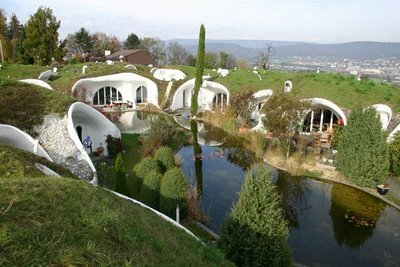 Not only us but any one will be amazed by this amazing building. Much cant be said about except that it's really something you don't come across very often. 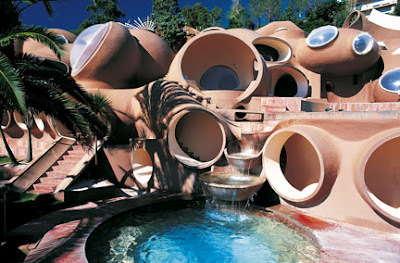 "Twenty years ago, Pierre Cardin was looking for a house in Cannes, but he couldn't stand the prospect of the unoriginal villas that had multiplied all over the Côte d'Azur. 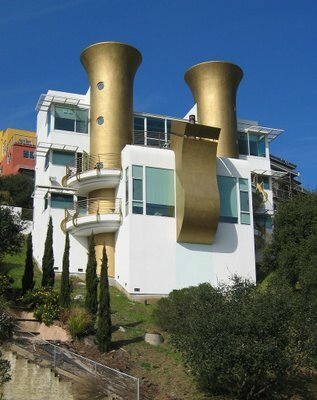 He wanted the architectural equivalent of his avant-garde creations in fashion. Then, cutting across a point of land with a magnificent view of the Mediterranean, he happened upon a construction site. 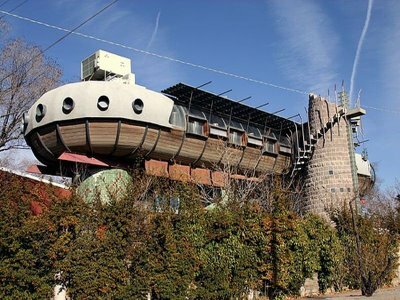 The project was being built by an architect named Antti Lovag for an industrialist with whom Lovag had become friends while building a previous house. 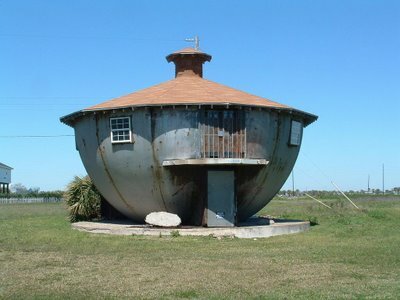 The current one was most intriguing: It was to be a bubble-house, an unusual enterprise intended to demonstrate the possibility of short-circuiting traditional architecture in the name of original, contemporary design." 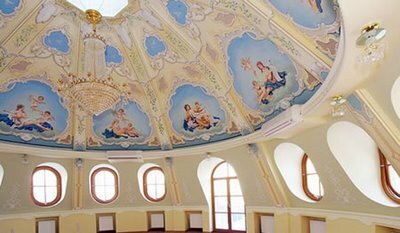 This four-story estate spread over 342-square-meters is a replica of a huge Fabergéegg, its positioned on Ulitsa Mashkova, a side lane of the idiosyncratic Chistiye Prudy zone (Moscow). 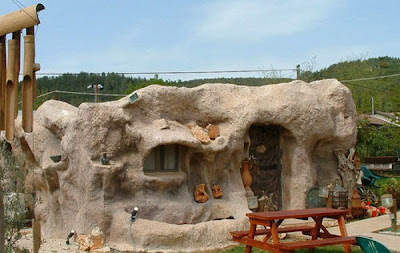 Though The Flintstones used technology equivalent to that of the 20th century, largely through the use of various animals, but here we have prehistoric atmosphere combined with modern furniture & facilities. 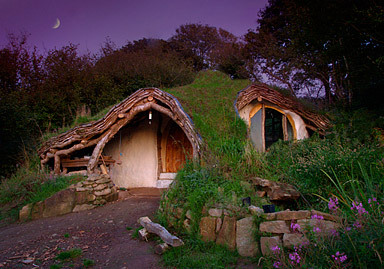 This is a low impact woodland family house of Moabi in Wales. 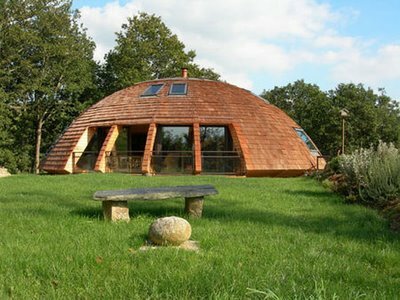 It was built by Moabi, & his father-in-law with the help from passers by & visiting friends. It took about 4 months, about 1000-1500 man-hours & £3000 to create it. 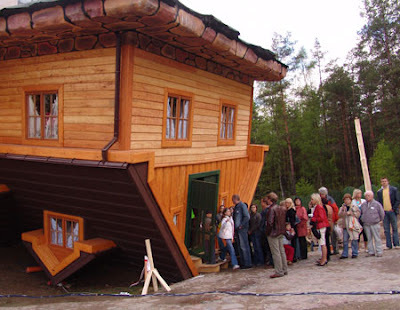 This Upside Down House is build by Daniel Czapiewski, Polish businessman in tiny Polish village of Szymbark. 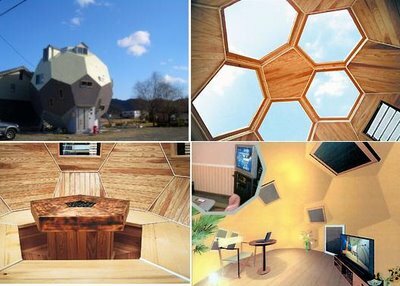 Usually, his company builds homes in 3 weeks but this one took 114 days because the workers were confused with structural design. Its an artistic statement about current state of the world. Apart from this the builders lavished attention on every last detail & after the construction of the house they decorated & fitted it out to the highest specifications. The 419-square-metre (4,508-sq-foot) concrete and glass structure is a 1.6 million dollar toilet-shaped house designed to promote Sim Jae-Duck's tireless project for cleaner loos worldwide. 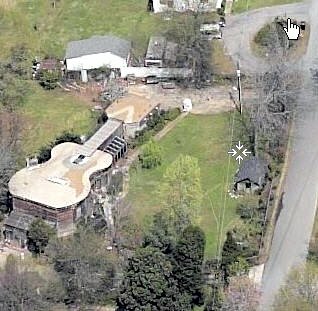 Elvis L. Carden, an award-winning songwriter is the owner of this 3,800 square foot guitar-shaped house located in Fayetteville, Georgia. It's a cool home. 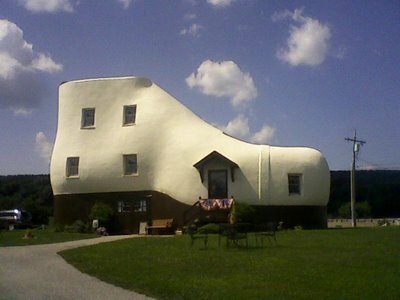 This is 25 feet tall and contains five stories in Hallam, Pennsylvania, along the Lincoln Highway and was built by shoe salesman Mahlon Haines in 1948 as a form of advertisement. 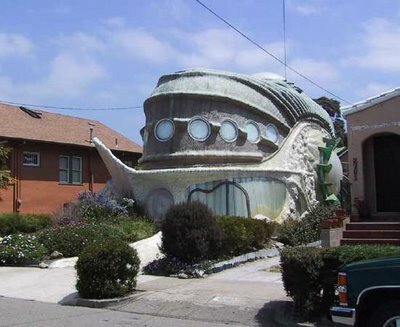 Its located on Mathews Street in Berkeley.